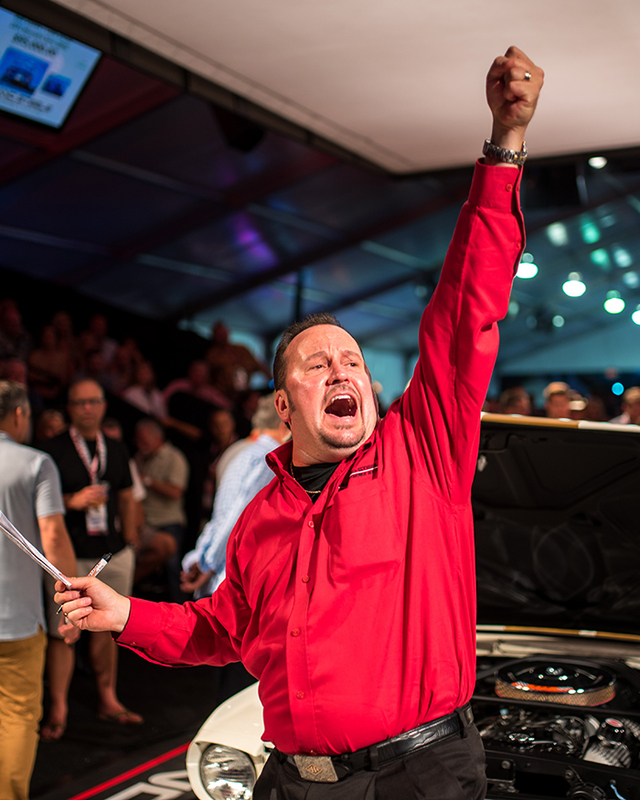 JOIN THE EXCITEMENT FROM ANYWHERE – REGISTER TO BID ONLINE! Russo and Steele has partnered with Auction Mobility to bring you the most comprehensive online bidder platform available anywhere in the industry. Simply complete the registration form by clicking the link below and a Bidder Services Representative will contact you shortly to finalize agreement. Bidder is required to maintain a minimum of $10,000 USD or 10% of the maximum bid limit as collateral for vehicles to be purchased. Acceptable form of collateral is an authorization hold on a major credit card. All Sales are final, no exceptions. In the event Bidder fails to fund any purchase, Bidder shall forfeit collateral hold. Bidder is required to fax or email a copy of your current driver’s license, copy of credit card, a copy of your current proof of insurance and if applicable a copy of Dealer license and resale tax certificate (when registering as a dealer.) Once processed, you will receive a Bidder number/Confirmation from our Bidder Liaison with additional details about your registration. We strongly encourage bidders to read through the entire Bidder Agreement Provisions. By signing and initialing the Bidder Agreement Provisions the Bidder acknowledges, understands, and agrees to the entirety of these provisions and will abide by them accordingly. Online Bidder Registration is $250.00 USD and allows you access to the Official Russo and Steele Mobile Application, available through Itunes and the Google Play Store, exclusive online post sale auctions and mobile streaming services. All payments must be received via bank-wire transfer on the first business day following the auction. Internet Bidders MUST submit ALL required items to be reviewed and processed by a Bidder Services Representative no later than 48 hours prior to auction days. Get ready to experience the excitement online! Online Bidder Registration is $250.